Colins Photography: A mural depicting where Kim Jong Il was born. 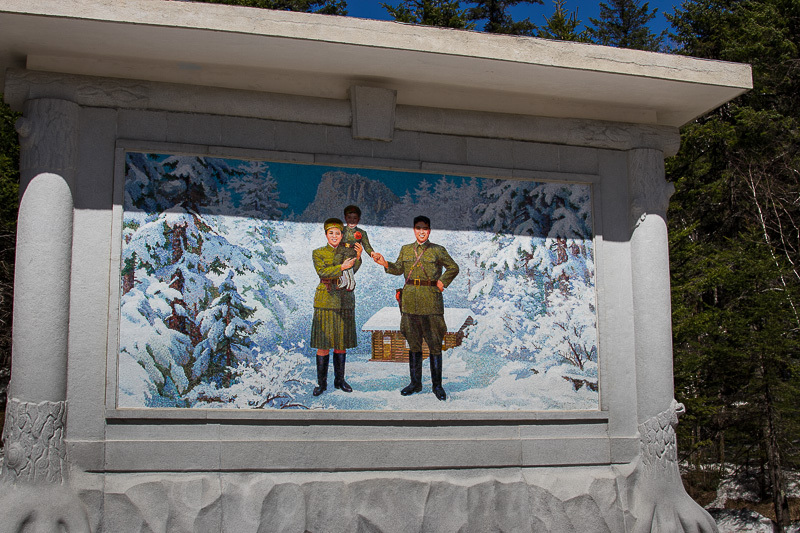 A mural depicting where Kim Jong Il was born. Various Paektu Secret Camps surround the area, which were Kim Il Sung's headquarters from 1936 till 1943.